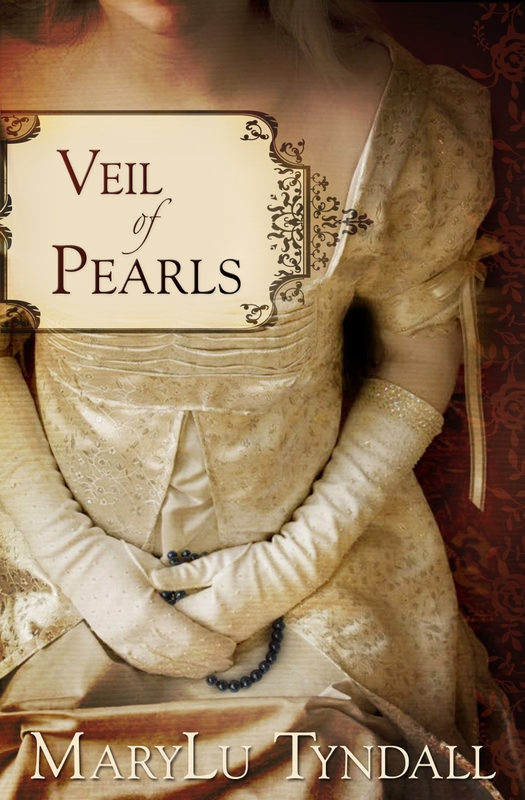 Veil of Pearls by MaryLu Tyndall is set in the 1800s and begins with our heroine, Adalia, running for her life and her freedom in the Caribbean. You see Adalia is a slave who wants to start her life fresh in America. She purchases passage on a ship and ends up in Charleston, SC where she hopes her light skin will allow her to live life as a free woman. Morgan is a wealthy plantation owner's son who finds Adalia fascinating and tries desperately to convince her to let him court her. Adalia, however, only wants to help others and finds Morgan's advances bothersome. Will she let Morgan into her heart? Will everyone find out who Adalia really is and what she's running from? Well, you're going to have to read the book to find out! MaryLu really knows how to draw you into a story. From the very beginning the characters were brought to life through her writing. I found myself caring about Morgan and Adalia and couldn't wait to see what would happen to them next. If you like historical or Christian romances, MaryLu Tyndall's books are the best, and Veil of Pearls is no exception.